It was my very first time to visit the old church in a nearby city. The sanctuary was made of dark panels of wood. The entrance had tall and colorful stained glass windows. It all looked different than the churches I normally attend. There are many denominations in the world made up of those who acknowledge that Jesus is the Son of God. God lives in them, and they in God. We are all one family–the family of believers. 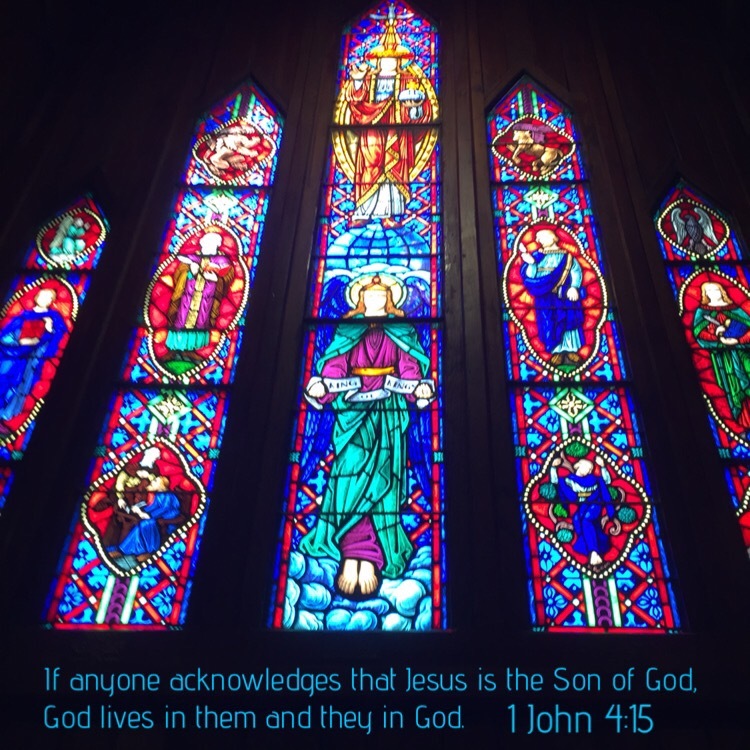 This entry was posted in Bible verses on photos, Inspirational photography and tagged believers.